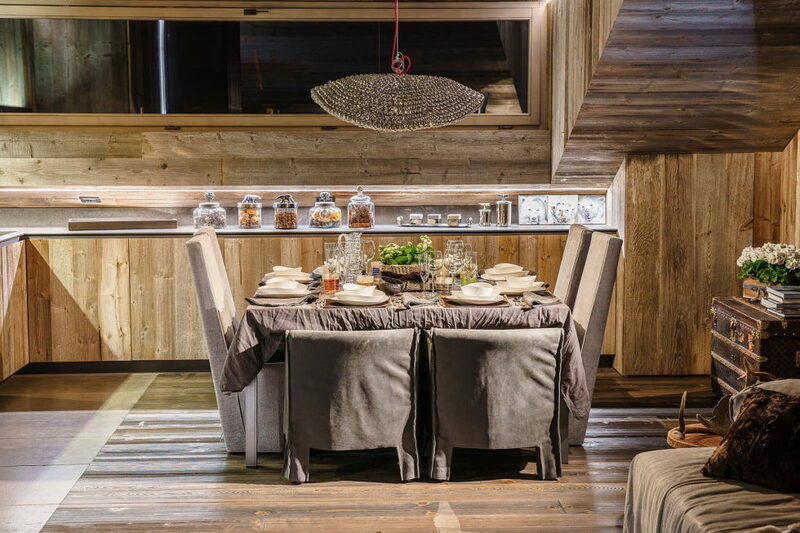 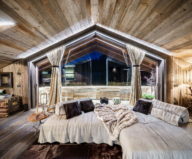 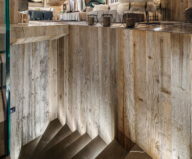 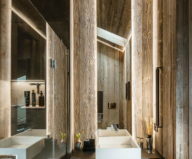 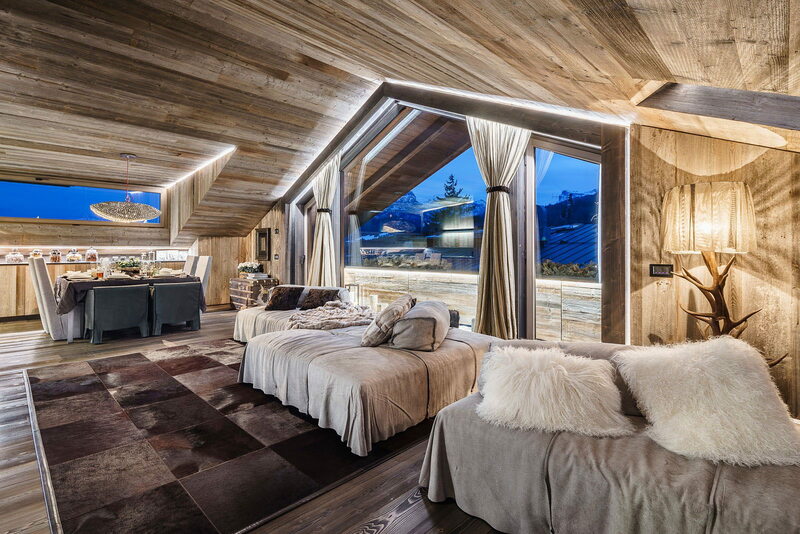 The interior of this chalet house located in Italy was developed by the architectural studio ZWD-Projects. 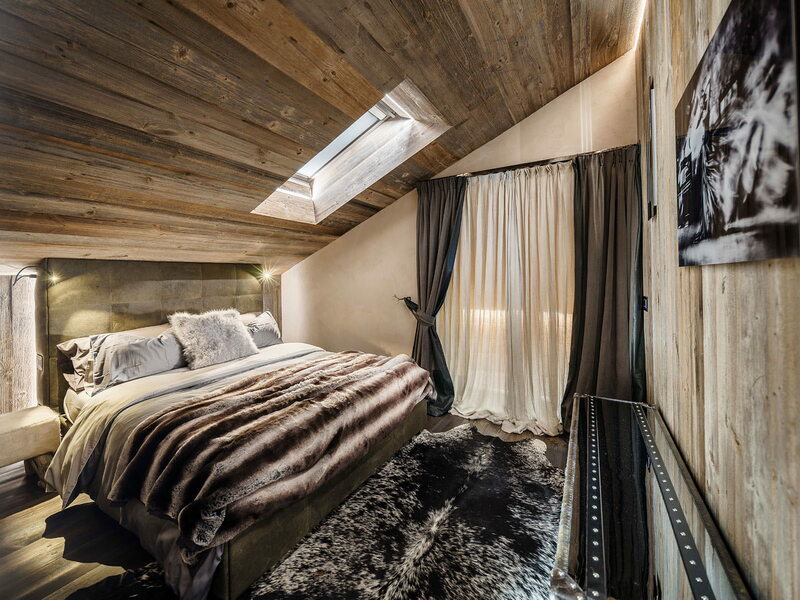 An ordinary attic was turned into a marvelous penthouse apartment. 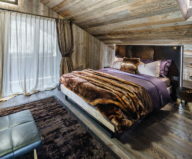 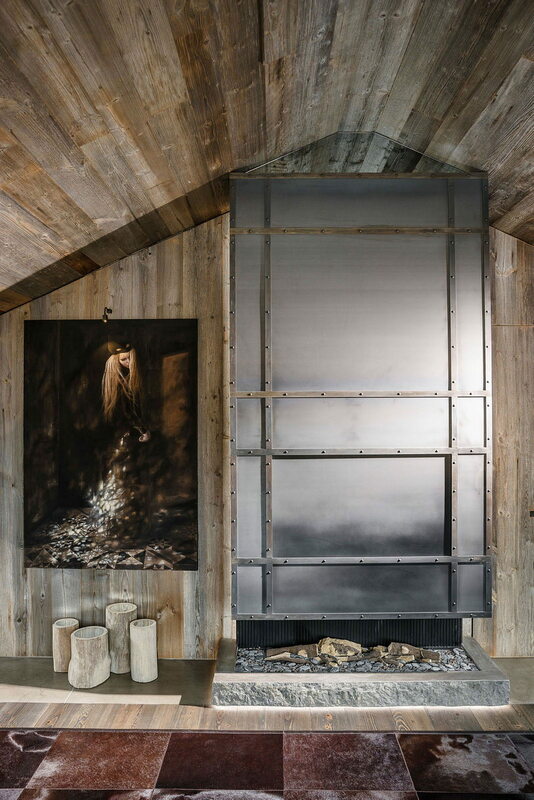 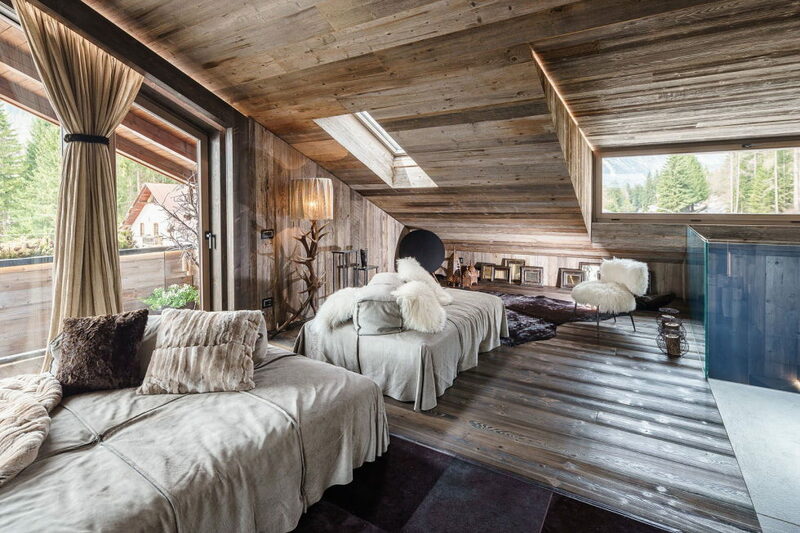 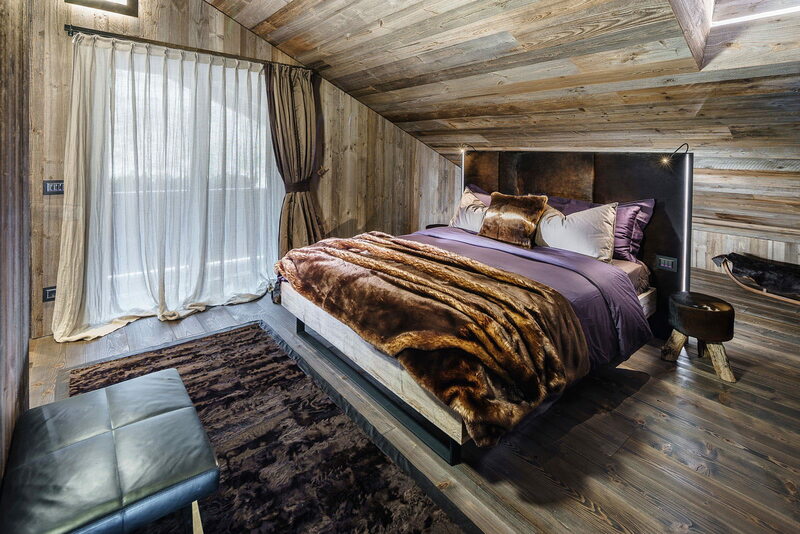 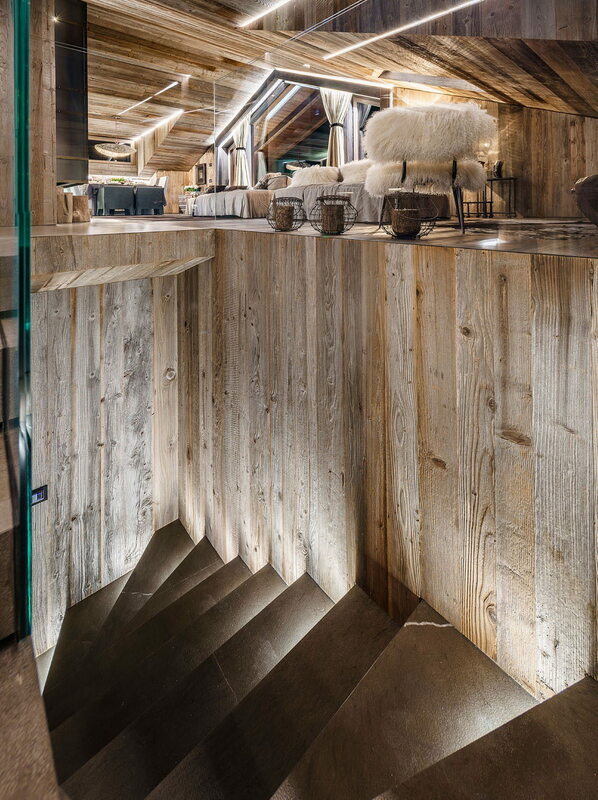 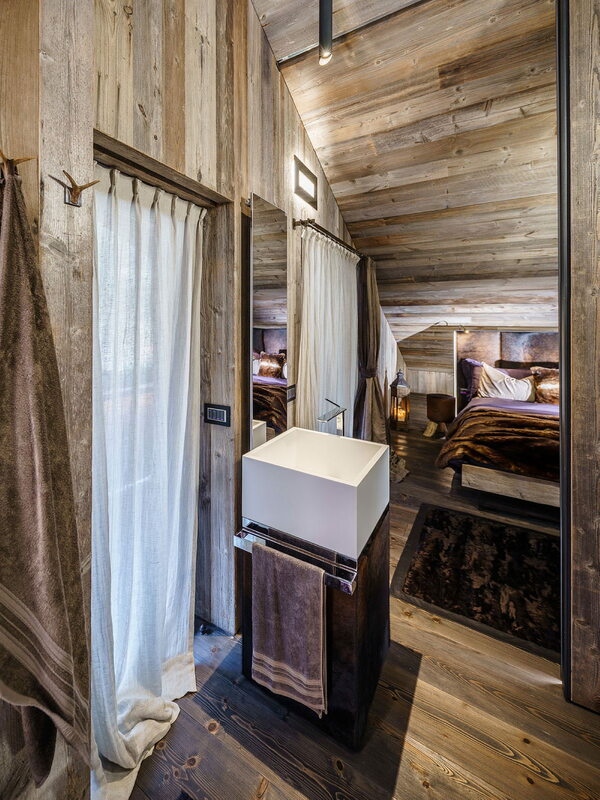 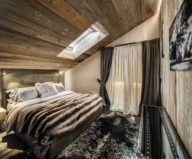 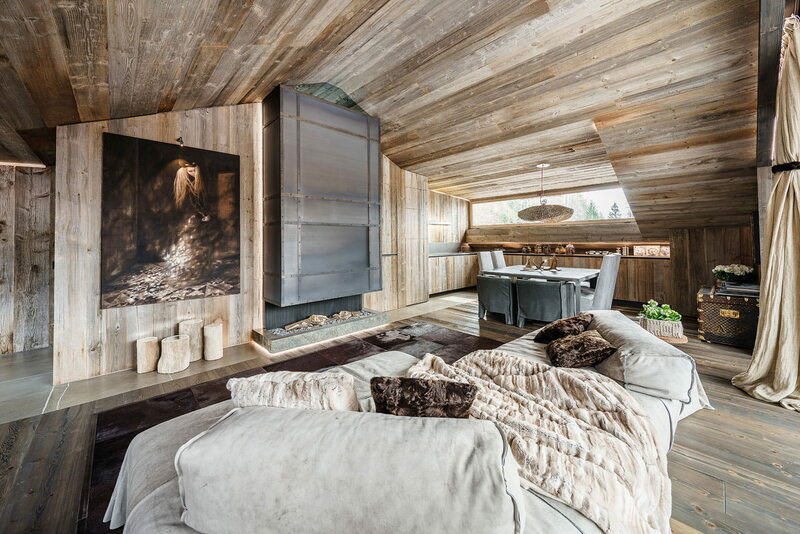 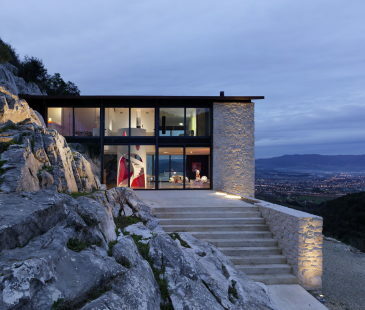 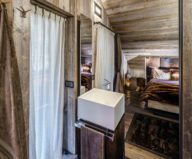 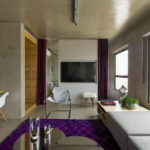 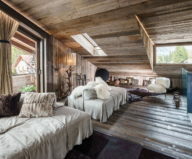 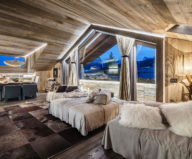 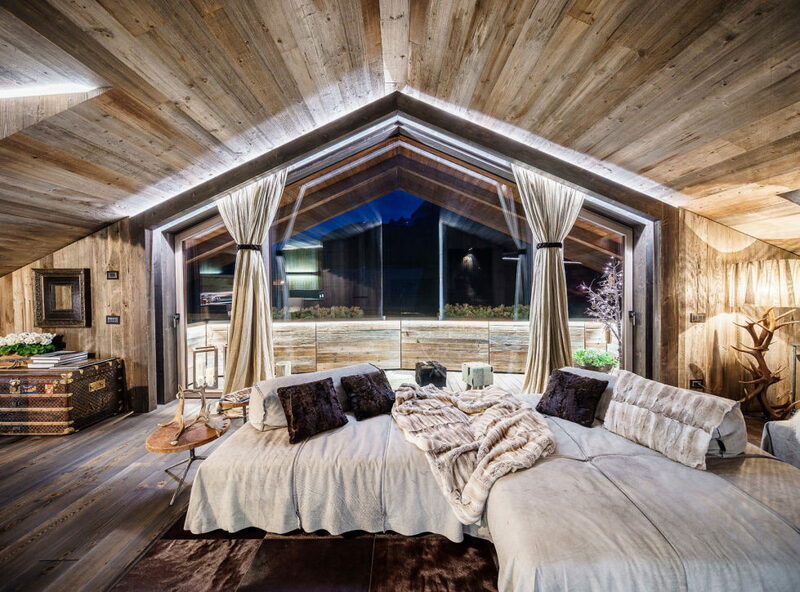 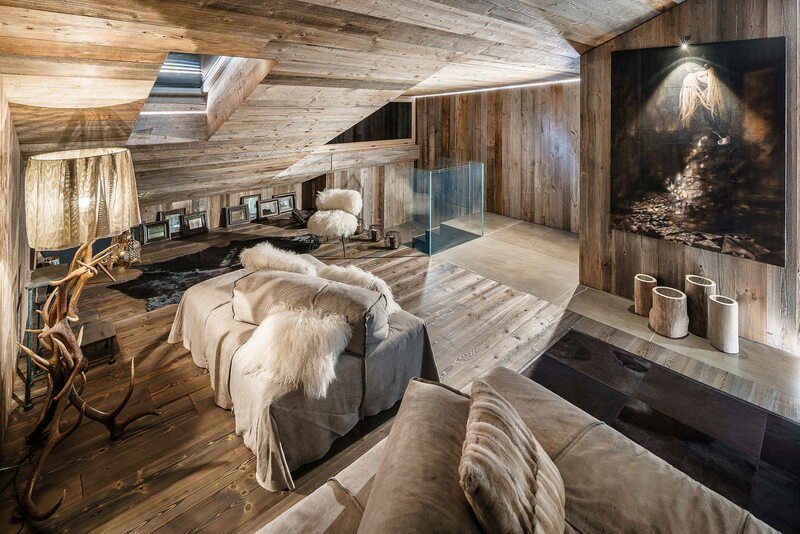 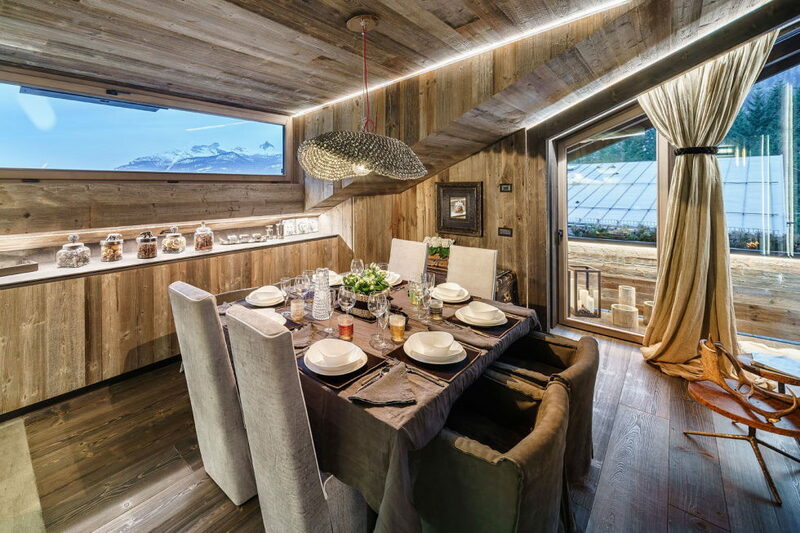 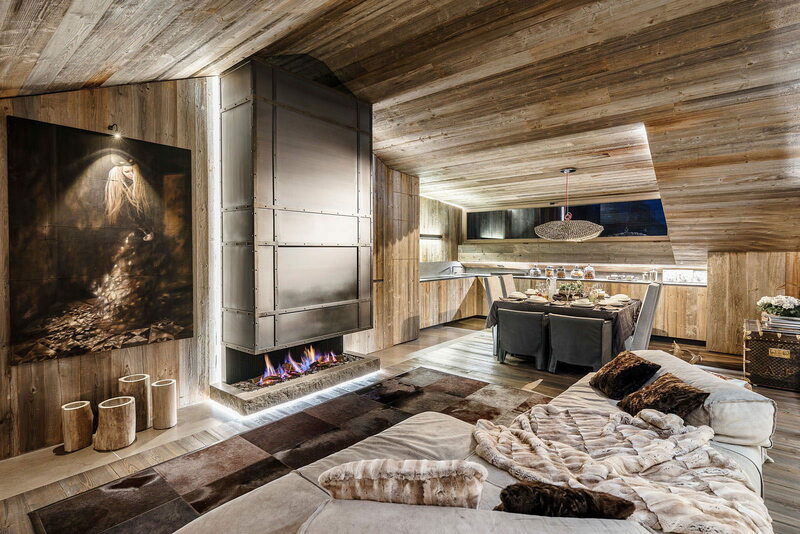 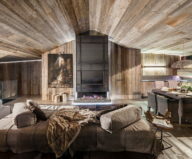 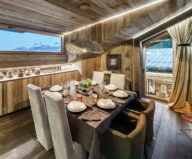 The interior design encompassed an outstanding mountain landscape with famous ski resorts. 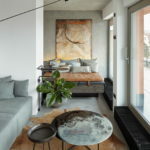 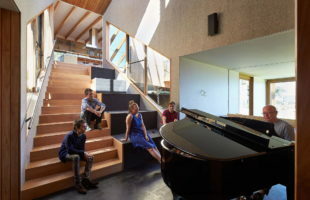 The owners planned to use the apartment mainly at winter, therefore the project`s authors needed to create a warm and cozy dwelling, inviting to relaxation and placidity. 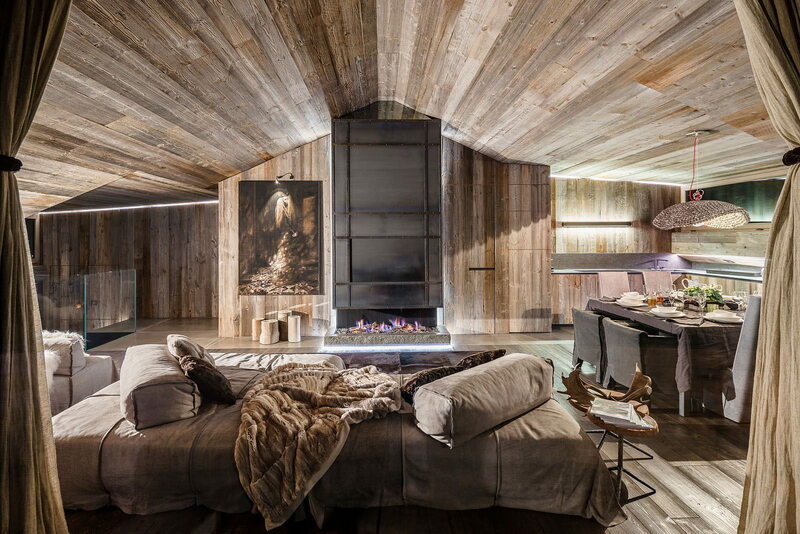 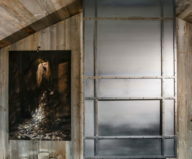 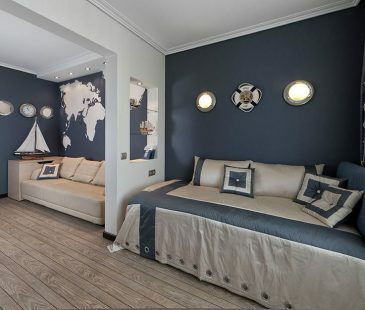 All walls of the room as well as floors are covered with grey wood, associated with the wood veener of cottages. 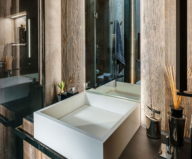 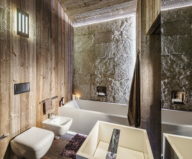 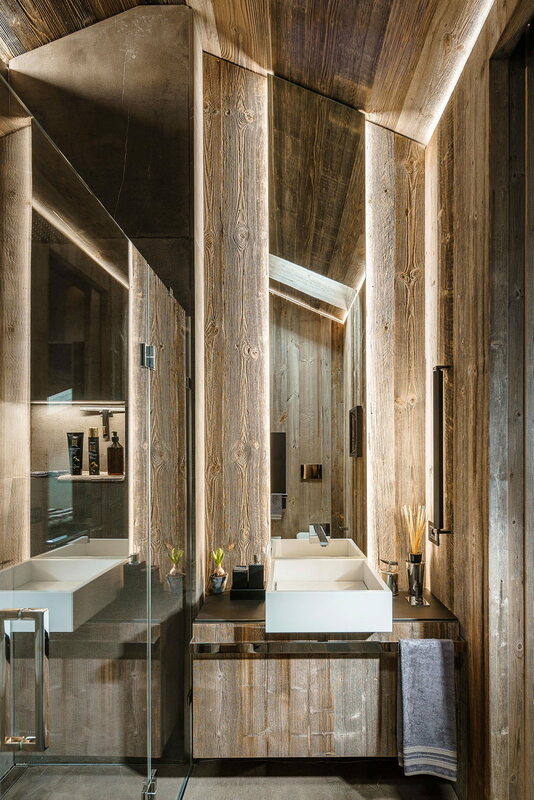 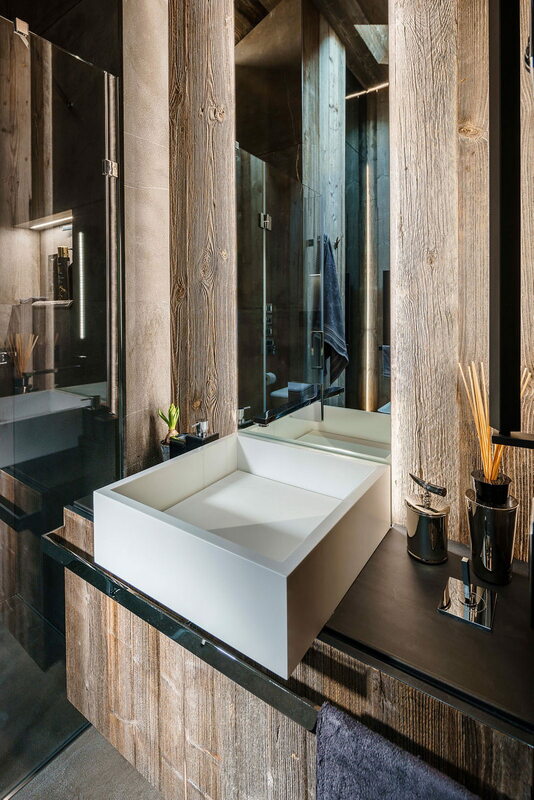 The bathroom is an exception and is finished with light wood and stone. 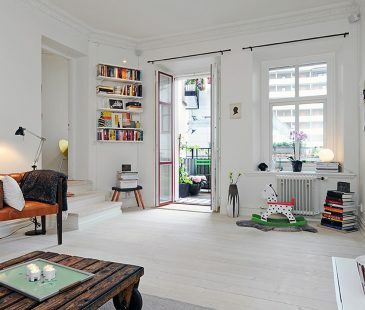 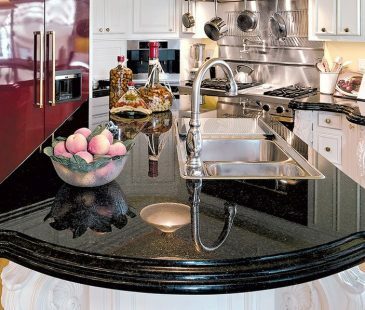 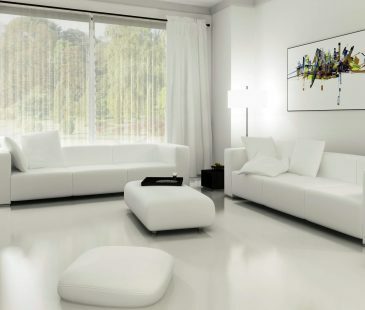 The warm décor and accessories increase the warm homelike atmosphere. 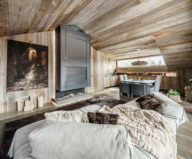 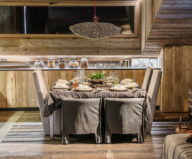 The furniture of natural wood, elegant textile in calm tones, furs and skins create the special atmosphere of coziness and peace. 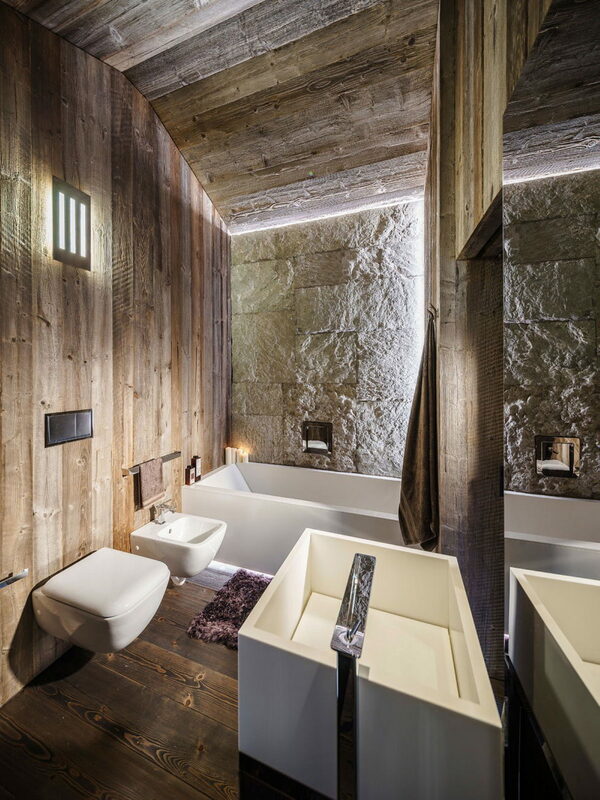 The V-shaped ceiling and plain fareplace`s configuration help to emphasize the rural interior style.